Are you looking for a specific or unique custom cut of lumber? Probyn Export can ship to you the exact species of wood and grade that you want, cut in the precise dimensions that you require. We're able to do this because of our close business connections with many lumber suppliers and sawmills. 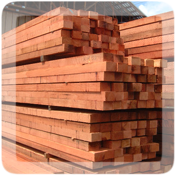 These connections have been built over many years and give the Probyn Export team the ability to offer the quality of lumber you need and in the precise cut you require. Contact Probyn Export and let us show you how we can help you make more business.